New customisable add-ons for the Handheld Group’s Nautiz X8 rugged mobile computer are set to make the PDA even more versatile for field workers in a number of fields, including construction, forestry, surveying, field services, warehouse projects and logistics. The Handheld Nautiz X8 PDA with scanner expansion cap. How tough? The X8 has an IP67 ingress protection rating and is completely protected against dust, sand and water immersion. It also meets stringent MIL-STD-810G military test standards for overall durability and resistance to humidity, shock, vibrations, drops, salt and extreme temperatures. The first of the expansion packs adds long-range Bluetooth communication of up to 300m. This, handheld says, is especially well-suited for advanced forestry solutions, surveying and construction work. 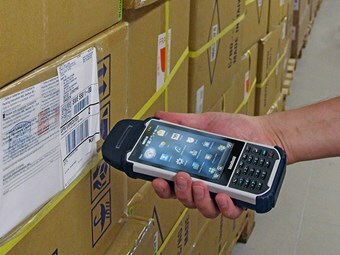 The Barcode Expansion Pack features an imager module (Zebra SE4750SR) with an LED aimer for barcode scanning. "This option is ideal for workers in field service, warehouse projects and logistics," Handheld says. 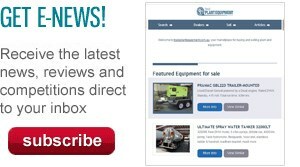 "These new expansions will make it even more versatile, customizable and attractive for field users in a number of industry segments. We take pride in always working with our partners and customers to understand their specific needs and create solutions they actually want and will benefit from."